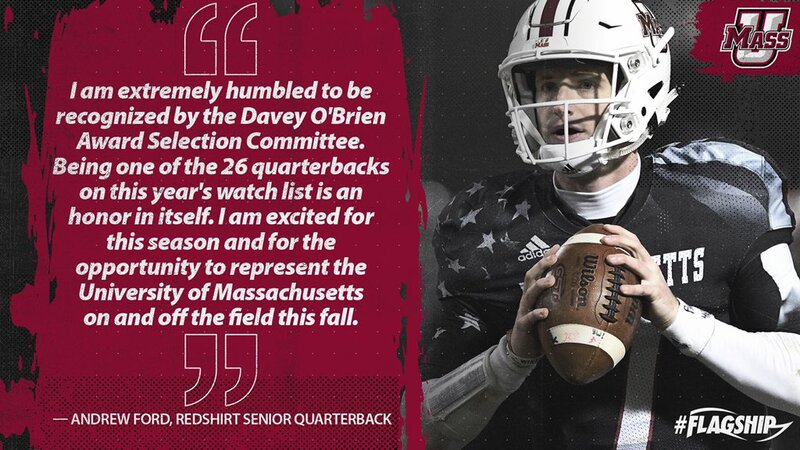 UMass QB Andrew Ford has been named to the 2018 Davey O'Brien Award Watch list. Mike Traini of "Fight Massachusetts" has a post on Ford's being named to the O'Brien Watch list. The Notre Dame blog "One Foot Down" is offended Ford is on the list and their guy isn't. Mike also has a story on eleven Minutemen being named to Phil Steele's 2018 All-Independent team. HERO Sports previews Duquesne and believes they can win the Northeast Conference in 2018. SB Nation says Boston College will have an offense this year. A.J. Dillon 6-0 240, running behind an offensive line that returns four starters including All-ACC tackle Chris Lindstrom 6-4 305 will be tough to stop. Have seen a lot of crying over the O’Brien list. An example is Wimbush of ND. Had 16 TD 6 Int and completed 49% of his passes. Embarrassing that anyone wthink he deserves to be on it. I thought Ford had a decent year in 2017 and his numbers were strong. Expect much more 2018. Less happy feet, get rid of the ball earlier ect. Ford has NFL talent. Should excel in Whipples Offense. And therein lies the problem with the BC matchup. It's true that BC is not that good an all around team, and UMass may be able to match up in several areas. But if you cannot stop from being run over, then the rest of the matchups don't really matter. Typically in this game, BC is just too big and strong up front and even if the UMass D-Line acquits itself well early, they just get worn down as the game goes on. I don't see this year as any different, as much as I would hope to be wrong about it, seeing as beating BC would be the highlight of our FBS experience thus far. 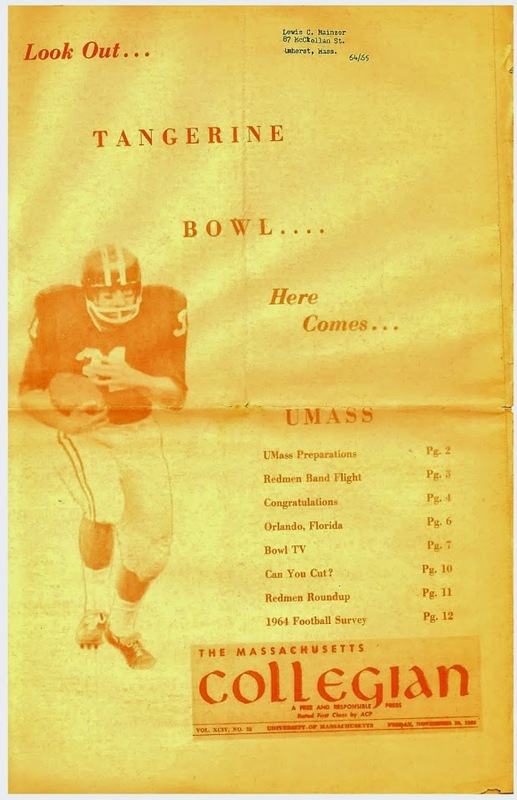 The only hope is for UMass to get a few quick strikes and try and take BC out of the run game. That said, we have a lot of games where we can match up well with our opponents. Just don't think BC is one of them. You state the ongoing issue we've had with teams like BC, well, and this year BC's run game is likely to prove more difficult to control than in previous years. We are inexperienced up front, but our LBs are thankfully mostly battle-tested if not a bit young, with B.B. as the exception. If Barr can lead by example and fire up the defense, and if E P. can draw up a great gameplan, then this game could be much closer than we believe. But the fatigue that sets in in the second half can hopefully be limited by how long our offense can control the clock. And if our kicking/punting and S.T. play is good, then this game will go to the end. And you're so right about a win here. Play like we did against the SEC teams.